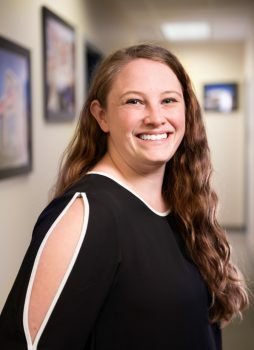 Karkela Announces New Director of Market Development | Karkela Construction, Inc.
Karkela Construction recently welcomed Ashley Colbeth as a new project manager. With 5 years of construction experience, Colbeth began her career with a general contractor where she completed multiple ground-up industrial buildings, schools, and veteran clinics. Her experience has allowed her to develop lasting relationships and it has given her the ability to think outside the box to meet clients’ needs. She is currently project manager on Engelbrecht Family Dental.